What a remarkable evening. 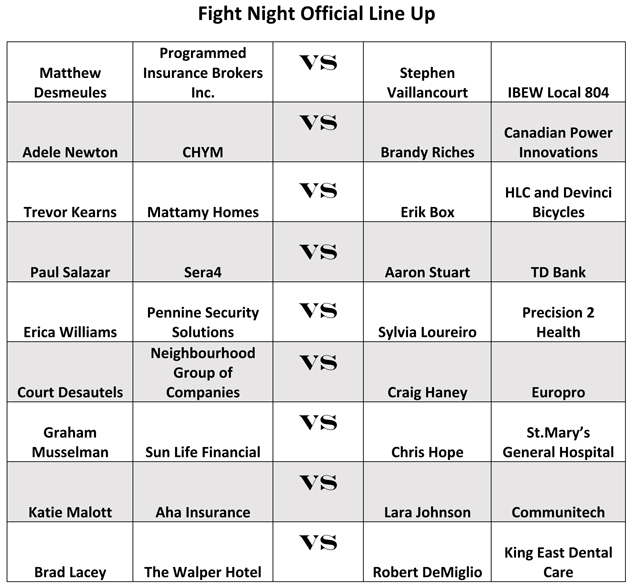 After 13 weeks of training, the inaugural Champions for Charity saw 18 dedicated and passionate business professionals lay it on the line in support of McMaster Children’s Hospital and Juravinski Hospital and Cancer Centre. Each champion had their own motivation for stepping into the ring- some saw it as an opportunity to test their own limits while others wanted to give back to the hospitals that made a difference in their personal lives. Congratulations to all the Champions for Charity boxers and to everyone who was involved this year. Will you be the next Champion for Charity – sign up today for tryouts for our 2020 event.